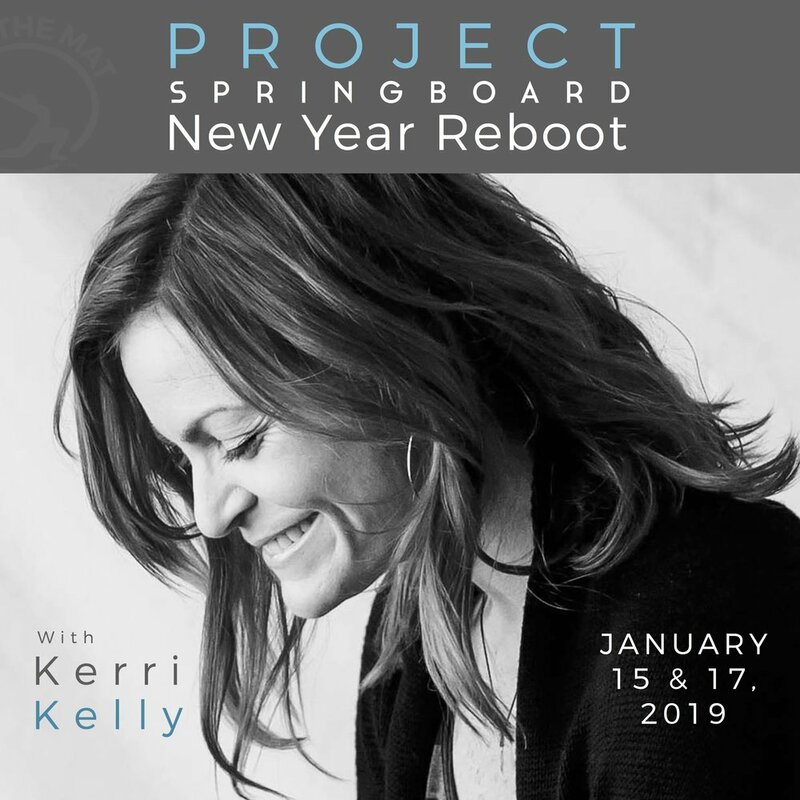 This January, OTM is hosting Project Springboard: New Year Reboot, led by Kerri Kelly, to kick start your new year and help you catalyze change. This program is designed for emerging projects to generate, activate and accelerate high-impact social change. It has been instrumental in catalyzing the work of organizations such as Embody Love Movement, The World Muse, Growing Places and Yoga for 12 Step Recovery. The training is intended to help take leadership and projects to the next level. While many traditional incubators focus exclusively on profit generation, we recognize the importance of creating a personal and social context for our work. Our program is designed to include equal parts “being” (e.g. practice, self-care, values, motivation, and authentic expression), “embodying” (e.g. sustainable action, impact, and conscious innovation), and “doing” (e.g. skill-building, tools, learning materials, and practical application). This New Year Reboot is perfect for anyone who is ready to live their purpose and to bring it forth in all aspects of their lives. Whether you are inspired, have an idea, already have a project, this springboard is designed to take your new or emerging project to the next level. Join us for a 2-day online immersion to help build a capacity for growth and manifestation and translate your personal purpose into social impact.